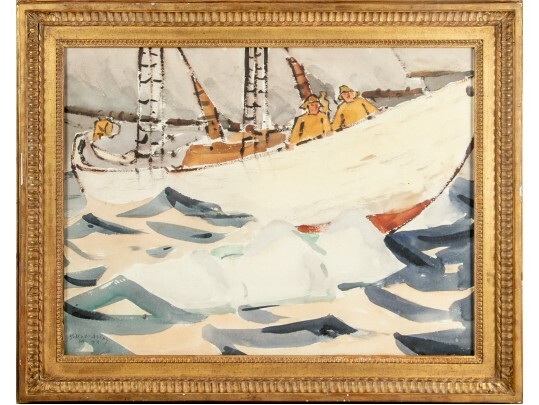 Large scale watercolor with fishermen wearing their foul weather gear in their boat on a rough sea. Bearing name and and date 1944 lower left. Black Rock Galleries do not represent this to be aMilton Avery painting.